If you don’t think the topic of the above headline is a big deal, you must have been living under the dirt that sits under the rock some people are said to live under. Whew, that was a mouthful! Anywho, Apple’s huge success has been traced to 2 major factors, leadership and owning all of the toys. Or owning the company that makes the toys as well as the company that makes the batteries that make the toys run. That’s right, I’m talking about owning the iOS operating system and the i-generation of mobile devices. Ipod, iPhone and iPad. (Sometimes I think that the oil companies own the auto manufacturers but I digress). Until today, this deal was not quite a done deal, even though we knew it was going to happen. Well, it did. 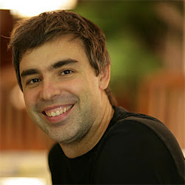 Here’s what Larry Page had to say from his blogpost on 22 May, 2012. The sad passing of Apple’s (The maker of the iPhone) CEO, Steve Jobs, recently, may or may not result in some loss of leadership. Until a new leader emerges in that company, we may see a shift of focus as they strive to ‘find themselves again”. This could not have happened at a worst time. Google is definitely challenging their market position, and with this acquisition, will at least have all of the tools (plus their Search Engine behemoth) to make a good run at it. I love the Apple line of products but my money is on Google. What do you think? This entry was posted in Search Marketing and tagged android operating system, Apple iOS, handsets, iPad, IPhone, iPod, Mobile, mobile marketing, mobile phones, motorola mobility on 05/25/2012 by MikeL.